The following February 2018 news story was written as an assignment for a News & Feature Writing class at UCSD Extension in San Diego. The cozy hum and hiss of coffee brewing greeted District 3 residents who showed up to Councilmember Chris Ward’s Community Coffee meeting Tuesday night. But a more hazardous drink was almost served when a local resident reported that “fully prepared” Molotov cocktails had been found near an ill-lit public stairway in South Mission Hills. At Communal Coffee in North Park, over 30 constituents clustered on armchairs under trailing plants or rubbed shoulders on benches to hear Councilmember Ward report his team’s current key actions and recent achievements. Ward then opened the second half of the meeting for questions, which reflected a range of concerns over public safety, land use, and infrastructure repair and expansion. Multiple attendees reported a noticeable increase in homeless persons encroaching into business districts and residential neighborhoods in the last year. Ward’s Info Sheet handout described a “housing-first, coordinated-entry, and data-driven strategy” to meet immediate housing resource needs not only for the chronically homeless, but other subpopulations including individuals with mental illness or addiction, veterans, families, youth, LGBTQ persons, and survivors of domestic abuse. Ward attributed the rise in homeless disturbance to decades-low district 3 police staffing levels. His office is working to negotiate competitive police pay levels at least equal to other county police departments. Ward reported that outreach efforts had helped decrease the downtown homeless population from 1,400 last August and September to 800 last month. Over 480 homeless persons from other cities have been reconnected to their original homes with a 90% rate of stable placement. 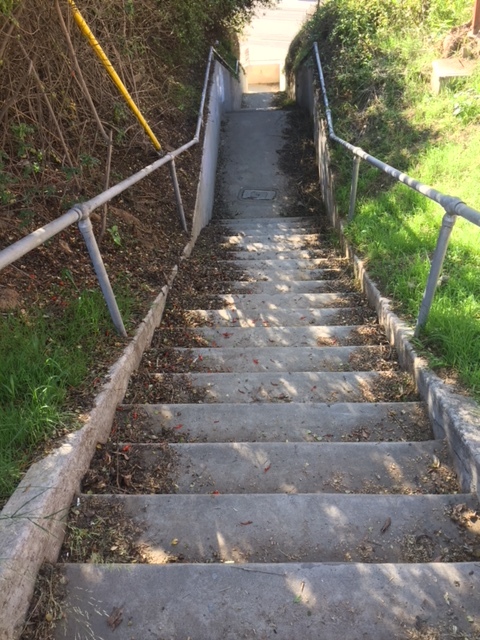 A South Mission Hills resident, who asked not to be identified, stated that the stairway leading downhill from 2878 Eagle Street has been the scene of a range of chronic “nefarious activity,” including abandonment of the Molotov cocktails, as well as trash, human waste, and stolen items. He reported having made multiple futile requests to the San Diego City’s Street Lighting Department for a nearby streetlight to be rotated to illuminate the stairway in order to deter illicit activity and increase residential safety. Councilmember Ward referred the resident to Brittany Bailey, council representative for Mission Hills, Middletown, Bankers Hill, and Hillcrest, who was present at the meeting. Tuesday’s gathering was the latest in Ward’s first year in office periodically inviting constituents to meet over coffee or cocktails at local establishments, said Brett Weise, council representative for Normal Heights, South Park, and Golden Hill. The next Community Coffee gathering will be at 10 a.m. on Feb. 17 at Dos Palmas Café in Normal Heights. Report Non-Emergency Crime: Use Get It Done or download the app.